Our research is focused on the human placenta and its crucial role in supporting fetal growth and development over the nine months of pregnancy. We have known for some time that the appropriate implantation of the placenta into the wall of the uterus is vital to a successful pregnancy. Implantation means both the location in the uterus where the placenta develops and how deep into the uterus it invades. Human placentas invade into the uterine wall more deeply than any other mammalian species, and the invasion process remodels maternal blood vessels to ensure an adequate blood supply to the developing baby. Several major pregnancy pathologies begin with abnormal implantation and subsequent abnormal placental invasion. Fetus and placenta in the uterus at term, showing the maternal and fetal circulations supplying blood to the placenta. One of these, Abnormally Invasive Placenta (AIP), also known as placenta accreta, is an over-invasion pathology that can lead to significant maternal risk of bleeding. Conversely, preeclampsia and intrauterine growth restriction are characterized by under-invasion of the placenta and carry risks for both mother and baby including maternal hypertension and cardiovascular complications, prematurity and poor fetal growth due to inadequate blood flow and fetal nutrition. Our research seeks to examine placental invasion, blood flow and function through an integrated approach, encompassing molecular through clinical investigations. We are developing studies at a very basic level examining the invasion process, the factors that control it and the changes that occur in these pregnancy pathologies. Simultaneously we are performing studies designed to examine blood flow and placental growth during the key period for placentation for the purpose of developing techniques for detecting abnormal placentation. The eventual goal is combine these lines of research to develop therapies for the detection, amelioration and prevention of abnormal placentation in high-risk women. The research division is focused on building the Center for Abnormal Placentation as the site of major translational research efforts within the Department of Obstetrics and Gynecology. This involves several research ventures, the most important of which are: the program to investigate placenta accreta-related pathologies, a program to explore the relationship between invasion and pregnancy outcomes and the program examining the mechanisms and regulation of uterine invasion by trophoblast (placental) cells. This program consists of several projects exploring different aspects of abnormal placentation. The initial research in this program involved a retrospective study of all AIP cases over a ten-year period to evaluate whether CAP has improved maternal outcomes. Our data, published in 2014 (ref1), shows that outcomes, most especially blood loss during surgery, have improved dramatically when the team approach is employed. More recently, in collaboration with researchers at Oxford University in the U.K., we have shown that an area of confluent blood vessels at the uteroplacental interface which we call the area of confluence (Acon), obtained using 3D power Doppler ultrasound, identifies and is predictive not only of AIP but even whether an individual case will require caesarean/hysterectomy at delivery (ref2). By 32 weeks of gestation it is 100% accurate in diagnosing AIP. These AIP studies are now part of a much larger NIH-funded collaborative (U01) study with Oxford University In addition this study will also examine AIP severity and the gestational time course of AIP development so that detection and assessment are possible earlier in pregnancy. The goal is to be able to diagnose AIP with 100% accuracy earlier as early as possible. 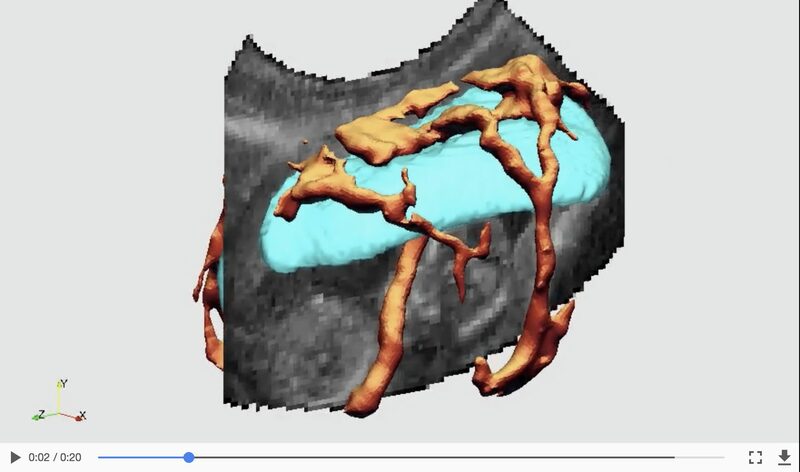 The video shows a 3D Power Doppler ultrasound volume visualized with the camera rotating around the center of the placenta (cyan) with single 2D B-Mode slice shown for scale. 3D Power Doppler of maternal vessels and umbilical cord are rendered illustrating the vessels supplying the organ. As we rotate around, the placental volume is removed and replaced with a curved surface representing the Power Doppler data found 2mm into the placenta and away from the utero-placental interface (UPI). Individual ingress/jets of vascularity entering the placenta are outlined automatically (multicolour). The other major element of the NIH U01 study is designed to utilize additional new ultrasound techniques to measure placental volume, shape, vascular development and blood flow at the end of the first trimester in pregnancy, at the time when all women receive their first screening ultrasound, called the nuchal translucency.. The data from these measurements will be paired with the corresponding birth outcomes to test whether we can observe the signs of abnormal placentation at this key time point. We anticipate that the continuing development of new analytical software by the bioengineering group in Oxford will enable us to detect quantitative measures of abnormal placentation early enough to institute significant therapeutic remedies. The MP4 graphic is an example of the kind of imaging we are working on. It shows how we can isolate and measure the shape, size and volume of the placenta, and the size and location of the maternal arteries (called spiral arteries, the ones remodeled by the invasive extravillous trophoblast cells of the placenta) supplying the placenta. This program is complementary to the clinical, translational studies of abnormal placentation described above. Our studies were designed to discover the basic mechanisms responsible for transforming non-invasive, placental cytotrophoblast cells (the parent cells of the very early developing placenta) into invasive extravillous trophoblast cells. These cells anchor the placenta to the uterine wall and eventually invade and remodel the spiral arteries of the mother. Comparison of these two cell types from first trimester placenta showed clearly that the mechanism was a highly conserved evolutionary process called an epithelial-mesenchymal transition (EMT). It is common in early development, cancer and wound healing and occurs where anchored and polarized epithelial cells lose cell-cell adhesion and transform into an anchorage-independent, non-polar, migratory cells (ref3). This is the conversion from an epithelial to mesenchymal phenotype. Further studies have shown that this substantial change in first trimester cells is blunted in normal third trimester cells, consistent with the loss of invasive capability later in pregnancy (see figure below). Analysis of extravillous trophoblast cells from AIP (over-invasion) pregnancies shows that these cells retain more of the mesenchymal, invasive characteristics observed in the first trimester compared to normal third trimester cells. By contrast, extravillous trophoblast cells from preeclamptic (under-invasion) pregnancies have more epithelial characteristics compared to normal third trimester cells, consistent with a reduced invasive potential. These data allow us to place these cells on an EMT spectrum where the extent of the EMT regulates the degree of invasiveness. This figure shows the relative position on the EMT (phenotypic) spectrum for cytotrophoblast cells (CTB) and extravillous trophoblast cells (EVT) from normal first trimester and third trimester pregnancies. It also shows the position of extravillous trophoblast cells from preeclamptic and AIP pregnancies. Examination of gene expression in the cytotrophoblast and extravillous trophoblast cells has revealed a candidate EMT regulator, a DNA-binding factor named ZEB2, which controls the transcription of DNA into RNA for a host of genes involved in the EMT process. It has been described as an EMT “master regulator” in a variety of other cellular processes in which the EMT mechanism is involved. We are therefore undertaking studies to investigate the role of ZEB2 to determine if it is the factor in the placenta that controls the transformation of cytotrophoblast into the invasive extravillous trophoblast cells. We have overexpressed ZEB2 in a model epithelial trophoblast cell line and observed multiple gene expression changes consistent with a more mesenchymal phenotype. Moreover we have seen a 10-fold increase in invasiveness combined with a loss in cell-cell adhesion. Figure shows loss of occludin, a cell adhesion protein, following overexpression of the ZEB2 transcription factor and EMT “master regulator” in a model trophoblast cell line. It is probable that the extent of EMT and invasiveness is regulated, at least in part by the uterine environment. As the mechanism becomes clearer and better defined, we will be exploring the potential regulators of the transformation process, looking for the means to detect pathological changes and to derive possible therapeutic modalities for ameliorating pathological consequences. Our eventual goal is to combine both lines of our research to develop therapies for the detection, amelioration and prevention of abnormal placentation in high-risk women. Dr. Zamudio has published over 80 articles on maternal and fetal physiology, genetics, epidemiology, and clinical outcomes. She studies what goes wrong with the placenta in pregnancies with complications like placenta accreta and preeclampsia. 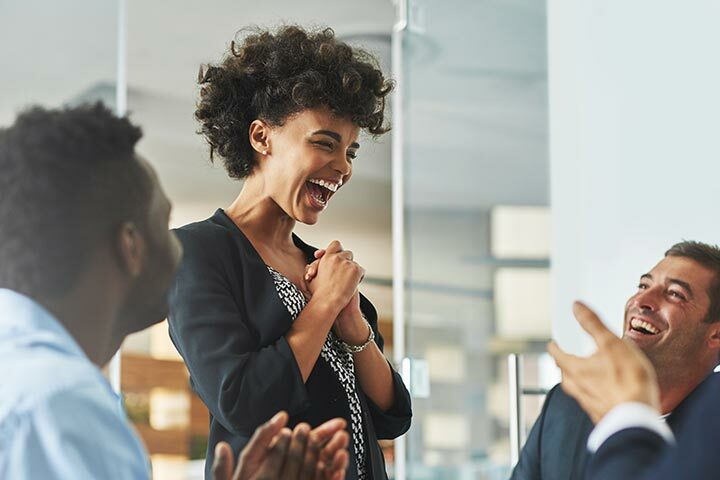 Her work has been funded by the National Institutes of Health (NIH), the National Science Foundation, the American Heart Association and the Fogarty International Research Collaborative. 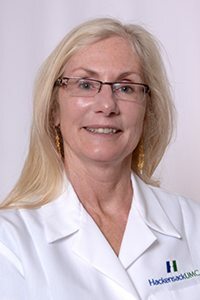 She is a leader in the field, serving or having served on 3 scientific journal editorial boards, the Council of the Society for Reproductive Investigation, President of the Perinatal Research Society and as Chair of the NIH Obstetrics and Maternal-Fetal Biology study section (OMFB). OMFB evaluates training grants in reproductive biology/medicine, clinical trials, and transition to independence award for junior faculty. In this capacity Dr. Zamudio helps to shape the future of research in obstetrics and gynecology and the next generation of scientists. Her past and current funding has focused the effects of hypoxia (high altitude) on the placenta and pregnancy outcomes, rates of pregnancy complications, and how the placental genome has evolved to protect fetuses from the adverse effects of hypoxia. Her work on placenta accreta has several goals: to develop a diagnostic test that can be used early in pregnancy, to improve our ability to discriminate between mild, moderate and severe disease via diagnostic imaging, and to learn how the cells of the placenta are permitted to invade tissues they normally do not invade. She is the principal investigator on the NIH U01 study to develop new ultrasound measures of placental structure and function early in pregnancy. Education: B.Sc. (Hons) in Biochemistry, University of Bristol, U.K., D.Phil., University of Oxford, U.K.
Dr. Illsley moved to Hackensack University Medical Center in 2012, following positions at the U.K. Medical Research Council’s Clinical Research Centre in London, the Department of Obstetrics, Gynecology and Reproductive Sciences at the University of California San Francisco and the Department of Obstetrics, Gynecology and Women’s Health at UMDNJ-New Jersey Medical School. His research focuses on the human placenta, its mechanisms of maternal to fetal transport, metabolism and role in the regulation of fetal growth. He has studied diabetic pregnancy, fetal growth restriction, preeclampsia and pregnancies subject to chronic hypoxia. He has published more than 80 articles in scientific journals on these topics. He has been awarded multiple research grants, primarily from the National Institutes of Health (NIH), with continuous funding since 1988. Dr. Illsley has been instrumental in developing and promoting the NIH Human Placenta Project, a 10-year effort to devise real-time methods for examining placental function. 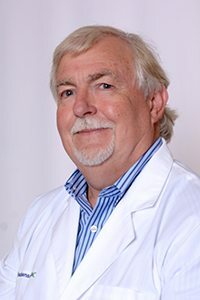 Dr. Illsley is a leader in his field, helping to found both the Placenta Association of the Americas for which he served as the first President (2001-2011) and the International Federation of Placenta Associations for which he is completing a five-year term as President. He has served on several journal editorial boards and on the Council of the Society for Gynecologic Investigation and Perinatal Research Society. He was a charter member of the NIH Human Embryology and Development Study Section and continues to serve on multiple NIH study sections, reviewing research in perinatal medicine. Dr. Illsley has now put this experience and expertise to use in a new role, leading investigations for the Center for Abnormal Placentation. In collaboration with Dr. Zamudio and Dr. Al-Khan, he is developing new research to investigate the molecular biology that underlies placental invasion into the uterus in both normal and abnormal pregnancies. He is particularly interested in abnormally invasive placenta (placenta accreta) and preeclampsia. 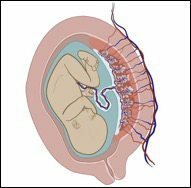 Our NIH-funded ultrasound study of the placenta needs your help. If you are in early pregnancy (less than or equal to 11 weeks gestation) you may be having a nuchal translucency ultrasound scan, a standard clinical screening procedure performed for most pregnant women. This procedure uses ultrasound to measure the thickness of the fluid buildup at the back of the developing baby’s neck. If this area is thicker than normal, it can be an early sign of Down syndrome, trisomy 18, or heart problems. If you are having this procedure performed at Hackensack University Medical Center, you will also have two other scans as standard of care, to measure placental volume and uterine artery blood flow. We would like to make use of these ultrasound scans in our research on placental implantation and pregnancy outcomes. This will be anonymous; we will assign a ID code to your information which will be used throughout the research.